This post is for Nokia 105 TA-1034 Headphone problem solution. 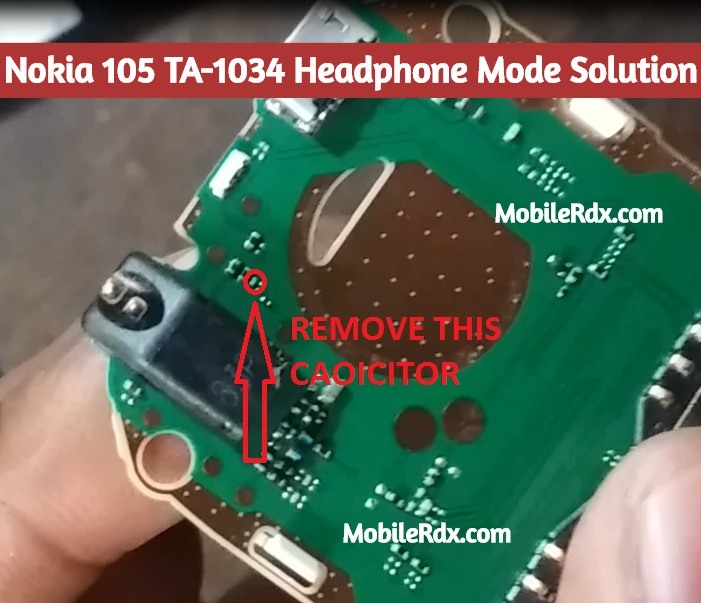 So if you are having Headphone Mode problem and handsfree symbol issues with your Nokia 105 TA-1034 diagrams in this post can help you to repair Nokia 105 TA-1034 Headphone Problem. All the above method fails then make a jumper like below diagram. Nokia 105 TA-1034 Headphone Mode Activated, Headphone Ways, Jumper, Handsfree Solution, Handsfree Ways, Not Working Problem.